Hi Annie, basically I just lightly salt and pepper the chop steak, then dust with AP flour, fry each steak to a golden brown, enough oil to cove the bottom of the pan, using your preference of oil. Once gold brown remove the steaks from the oil, drain on a rack and paper towel. discard most of the oil, however keep enough oil in the bottom of the pan to add one diced onion. Once the onion is of a translucence color, add enough the remaining flour to the pan stirring to make a roux, brown to cook out the starch in the flour. Then add beef stock. 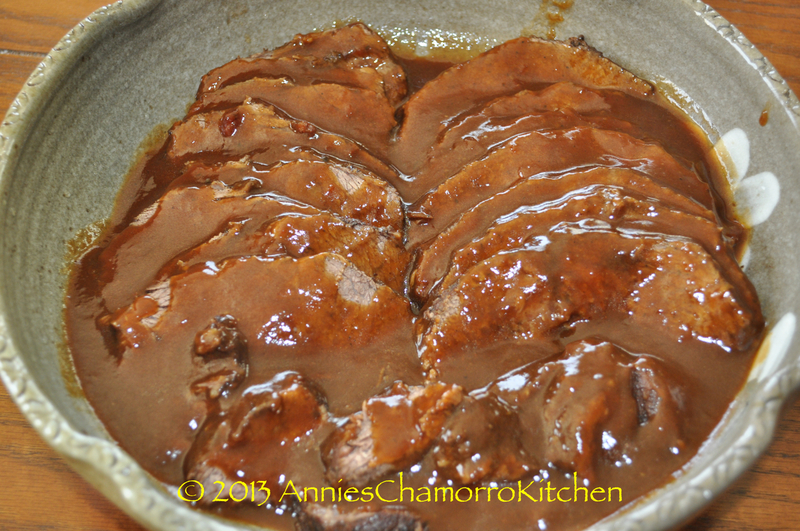 Stir until you get a good consistent texture for a gravy, then add the chop steak back in the gravy and let simmer 15-20 minutes. Liquid maybe needed, if so just add more beef stock of water. I hope you like this style of chop steak and onions. Hi, do you have Beef chopsteak? 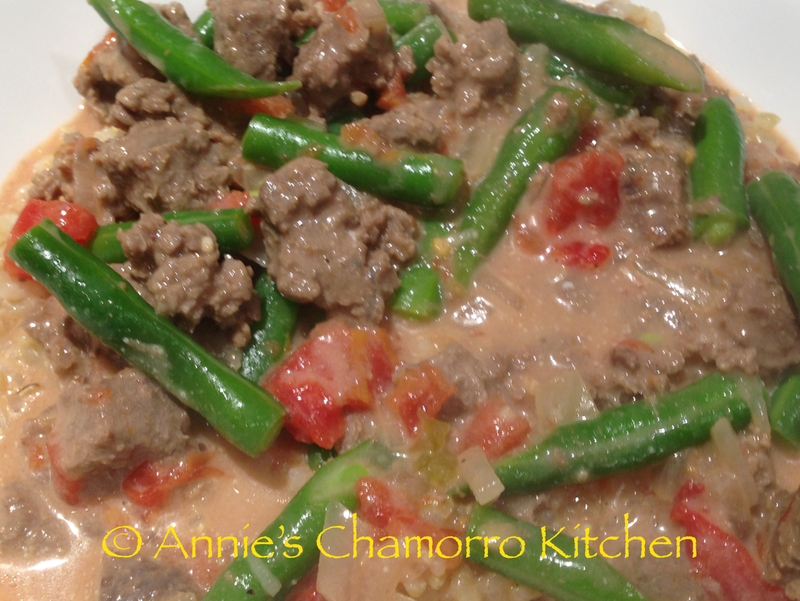 I’ve been looking for the chamorro recipe but nobody can tell me the acquired taste that I know it has. I’ve eaten this dish at parties in Guam but now I can’t find anyone who knows how to make & cook it like they do at parties. Please help me!~~~Sherlock or sherlocksimps@cox.net is my e-mail address. I need the recipe, Please?!! !~~~Sherlock on Facebook. I do have a recipe for chopsteak, but I haven’t posted one yet (I usually do not post recipes unless I make them so that I can take pictures). As far as a Chamorro version, I haven’t tried a version that’s the same yet. I think this is one of those dishes that is made to your personal liking. 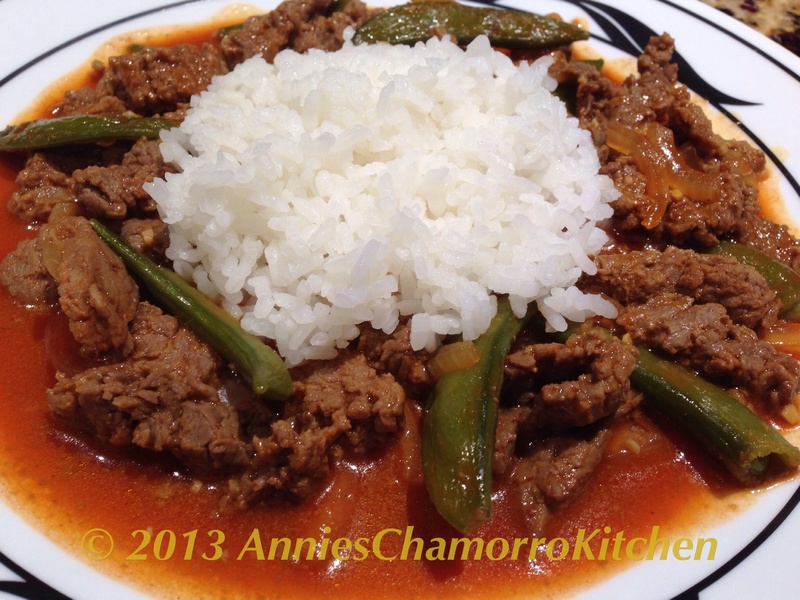 Hi Annie, I happen to come upon your web site while searching for a good Kelaguen recipe. 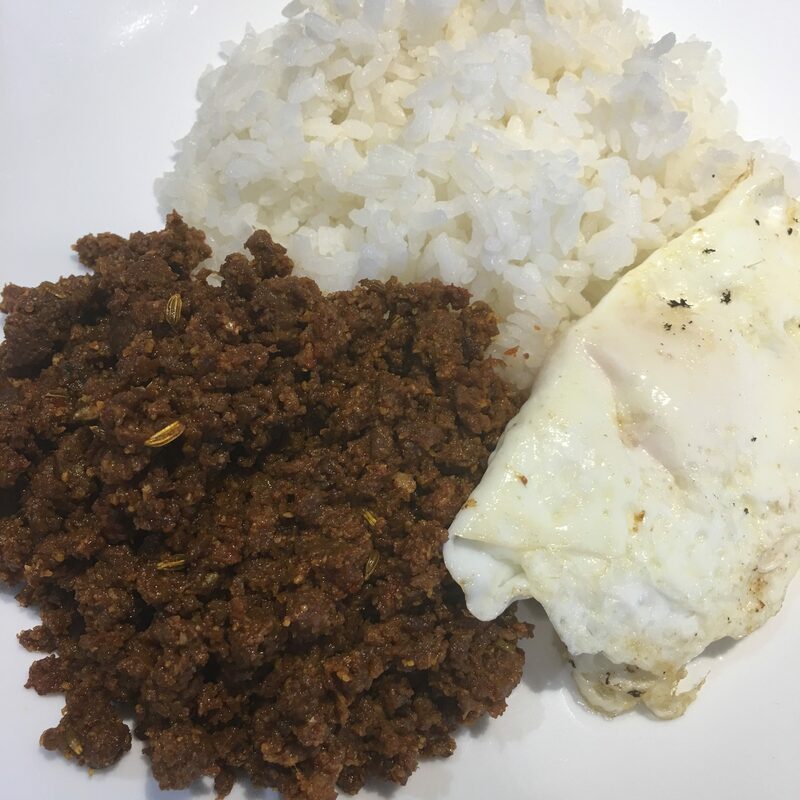 I am familiar with the Chamorro cuisine, I was station there for three years, lived in Yigo just outside the back gate of the AF Base. I loved the beauty of the island as well as the culture. 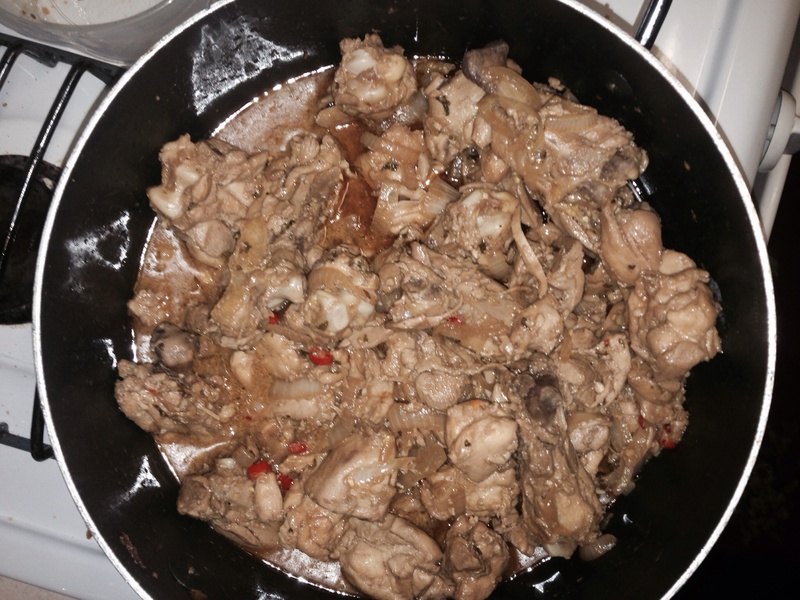 I hope to someday visit the island on one of my many vacations, in the meantime, I will add your site to my favorites, so I can have these wonderful recipes at hand when I desire wonderful Chamorro cuisine. Thank for the wonderful recipes. Hafa Adai, Thelma! Thank you for for stopping by my kitchen! I’m happy to hear how much you love our island, and I do hope you manage to vacation there soon. I’m glad you like my recipes. Please let me know about any you’ve made. Stop by again soon!